The Nike Phantom Vision Pro Dynamic Fit FG brings the fierce precision of street play to the pitch. A foot-hugging bootie is concealed in a mesh and NikeSkin technology outer layer to create a boot for the finishers, the providers and the battlers of tomorrow's game. The Nike Phantom Vision Pro Dynamic Fit FG brings the fierce precision of street play to the pitch. 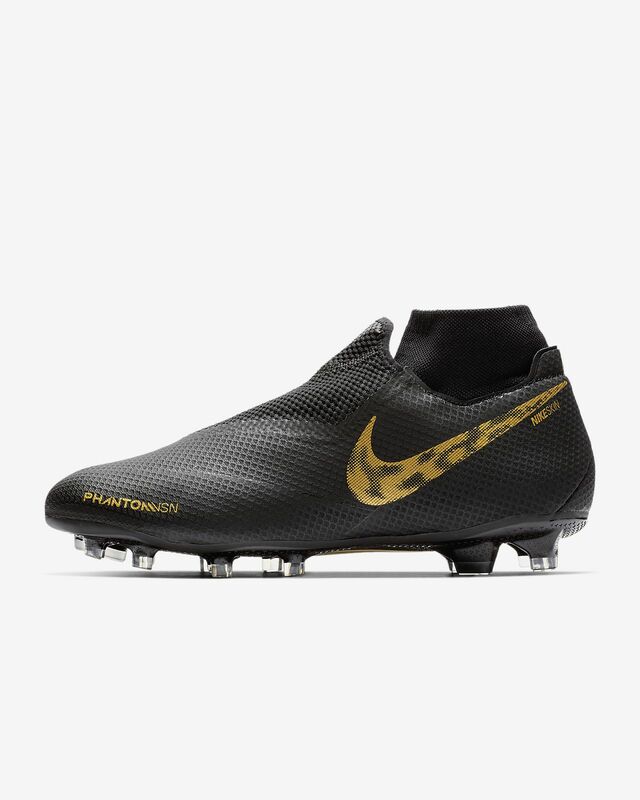 A foot-hugging bootie is concealed in a mesh and NikeSkin technology outer layer to create a boot for the finishers, the providers and the battlers of tomorrow&apos;s game. Good fit and sturdy cleat. A little expensive. Hope they hold up throughout tyhe season. Comfortable from first wear, no rubbing any where. I bought these and they are the best cleats I have ever worn. They are so comfortable and durable. They also run true to size. The ghost lace system gives you a good touch on the ball.